Found this post at Tracklib (thanks to Sonic State for the pointer) about what sampling in the music biz looks like right now. One thing I found fascinating was what tools people use to make their tracks. 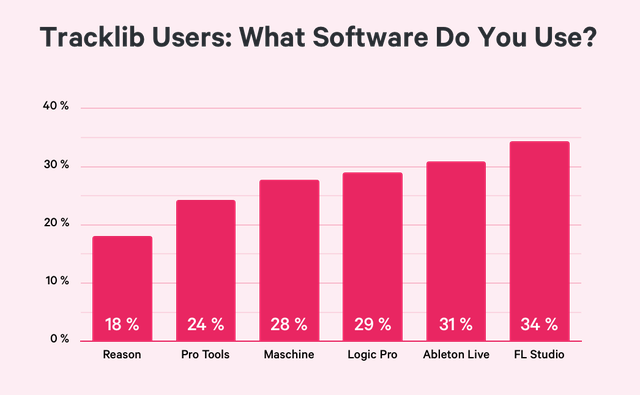 FL Studio topped the software list! Live was #2. The total is greater than 100% because some people use multiple DAWs. 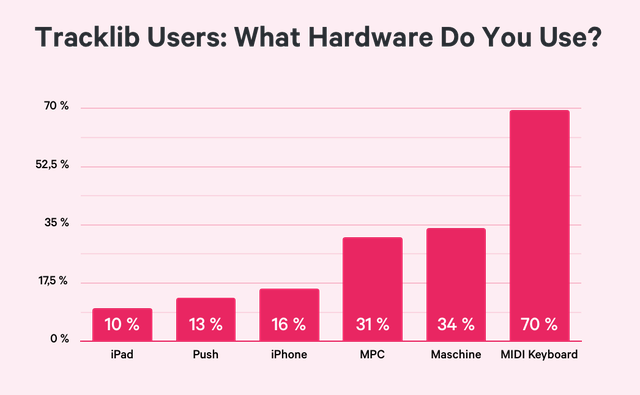 Another was that MIDI keyboards were far more popular than any other type of hardware controller, including MPCs. Same caveat as above about the percentages. One funny takeaway is that the most popular era for sampling songs is actually the 2010s (i.e. this decade!) because most artists sample songs that were released when they were between 5 and 10 years old. So a 19 year old producer would be looking at songs from 2005-2010. Another funny one is that Prince always refused to license samples of his recording, but now that he's dead his estate is licensing samples. Very cool, thanks for the link. What about Casio SK1?? Doesn't anybody still use them for sampling in 2019? ?